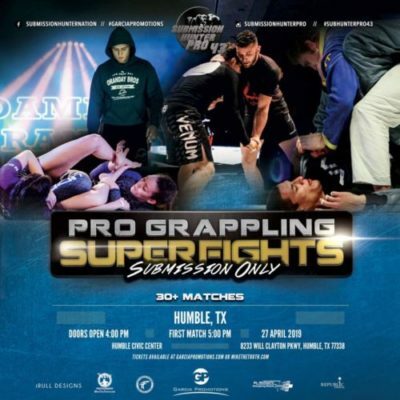 Submission Hunter Pro returns to the Humble Civic Center on April 27 for Submission Hunter Pro 43. The 30+ match event is scheduled to feature two black belt title fights. Pedro Araujo defends his 220lb gi title against Jimmy Lugo. Check out the rest of the card below. Purchase your event tickets here at MikeTheTruth.com, support your favorite grappler.